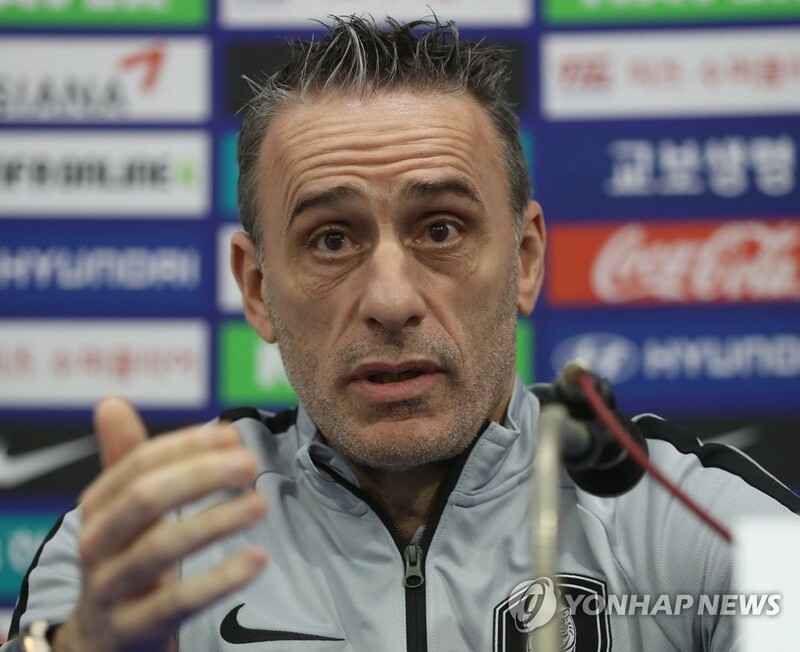 South Korea football coach Paulo Bento said Thursday that two national team rookies from Spanish La Liga clubs will not start against Bolivia, adding that there could be tactical changes. Lee Kang-in of Valencia CF and Paik Seung-ho of Girona FC were selected for the senior national team for the first time for March friendlies, but Bento said the two prospects will not start in a friendly match against Bolivia at Munsu Football Stadium in Ulsan, some 400 kilometers south of Seoul, on Friday. With veteran midfielders Ki Sung-yueng and Koo Ja-cheol having announced their retirement from international football after the Asian Football Confederation (AFC) Asian Cup in January, Bento needed an infusion of new blood. Lee, 18, and Paik, 22, are considered the future of South Korean football after making their Spanish La Liga debuts earlier this year. Bento has been sticking to a 4-2-3-1 formation since he took the helm last August. But this time, the Portuguese boss hinted that he may make some tactical changes, including the position of Son Heung-min. At the national team, Son has been mainly used as a winger. The Tottenham Hotspur star did play as a center forward in some matches, but he has yet to score a goal under Bento’s reign. Bento’s side are looking for a fresh start after a quarterfinals exit at the Asian Cup. Bento said the Taeguk Warriors will now gear up for the 2022 FIFA World Cup qualification.